On Thursday December 5 NBC broadcast a musical live on TV, which hasn't been done (so they say) in 50 years. It was much more common in the '50s; e.g., Rodgers and Hammerstein wrote Cinderella for TV and it was originally broadcast live. I think it's an intriguing idea, even if something gets lost in the transmission. So intriguing that I watched it live (I almost never watch TV live anymore) and live-commented on the Cherry and Spoon Facebook page. You can read my commentary in the bulleted list below, but first, my overall thoughts on the show. Let me preface this by saying that The Sound of Music is one of my all time favorite movies and musicals. When I was a kid back in the dark ages before cable TV or even VCRs, the 1965 Julie Andrews classic was one of the movies that was constantly on TV, so I saw it a million times as a kid and loved it. In high school, I was in the pit orchestra for my high school production of the musical, and it was such a thrill to play that familiar music on my clarinet and develop a whole new appreciation for it, as well as sit in the pit for every rehearsal and performance. 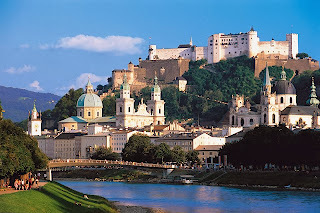 Finally, I spent four months living in Salzburg studying abroad, which makes the movie even more beloved to me because of the nostalgia for that beautiful city, which I was lucky enough to call home for a short period of time. Because of all of these things, I'm extemely biased towards loving any production of The Sound of Music, and this is no exception (which doesn't mean I can't see the faults in this production, well at least some of them). 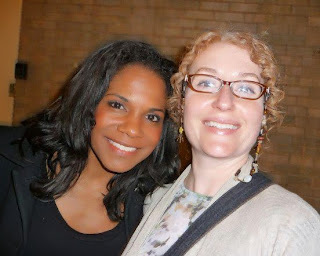 Let's start with the best part of the show - the divinely talented 5-time Tony-winner Audra McDonald as the Mother Abbess. Obviously she sounded beyond amazing in the always-thrilling "Climb Every Mountain," but it was her acting chops that made every one of her scenes a cut above the rest. Carrie Underwood has a gorgeous voice, and sounded beautiful singing these songs. Broadway vet Laura Benanti (previously known to me only from her recurring role in Royal Pains, a light and fun show that has the benefit of filming in the NYC area and hiring lots of theater actors as guests) as the Baroness Schrader was so effortlessly good that I was hoping for her to end up with the Captain. Which is also a bad thing because that's not the way the story is supposed to go. Recent Tony winner Christian Borle was an absolute delight as Max, one of my favorite characters and the acerbic comic relief in the show. He elevated every scene he was in (although he might have benefited from an in-studio audience, see below). Every one of the seven children playing the Von Trapp kids did a fantastic job. Great job by the casting department to find this collection of unknowns that became a family. Yes the mountains and the trees looked fake, but that didn't bother me, it almost made it feel more like a classic '50s televised musical. I thought the Von Trapp family home was beautiful, with clever transitions between stages. 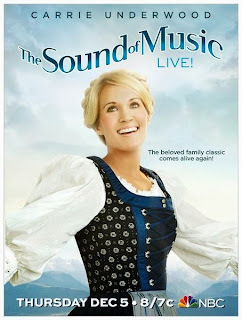 There's no way around it, Carrie Underwood is not an actor. I don't blame her, she tried her best to do the job she was hired to do, and I thought the singing part of the job was practically flawless. But when you hire a non-actor to act, you can't really be surprised when you get a stiff and emotionless performance. The most important thing in musical theater is not the music but the story. If you can't feel for the characters and become invested in the story, it doesn't matter how beautiful the music is. A big part of live theater is the audience, witnessing something special in the presence of others and hearing their reactions mingle with yours. The jokes and dramatic moments fall a little flat in a completely silent studio, with nothing but thin air to greet the performances. Come on, you know me, I'm not going to say anything was ugly! All in all I think this was a successful experiment (with huge ratings), but like all experiments, lessons must be learned to improve the next iteration. I would love to see NBC do this again next year (they already have the sets and costumes and have figured out the logistics, so it's sure to be much cheaper). My suggestion for casting the leads - look no further than the other actors in the cast. Laura Benanti has played Maria on stage and proven herself in this unique genre, so I'd love to see her take on the role next year. As the captain I would cast Michael Park, who played the party guest who delivered the classic line "I'm not a German, I'm Austrian!" A veteran of TV and the stage, Michael can be funny and charming, as well as stern and forceful, and has a beautiful voice. 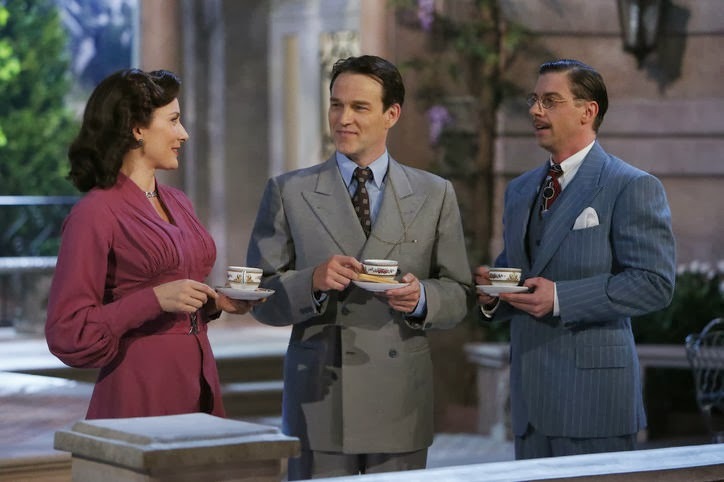 Audra should continue to play the Mother Abbess as long as she's willing, and Christian should play Max in every production of The Sound of Music ever. And have a big casting call for the kids every year to give fresh new talent an opportunity to shine. Yes, I'd love to see this become an annual event. It's time! Turn on your TV, friends, The Sound Of Music is about to start, live from a studio on Long Island! It's been almost 15 years since I've seen it on stage, but before that I was in the pit orchestra for my high school production (clarinet), so we'll see how much I remember about the stage version. If I recall correctly, the show opens with some beautiful chanting in the convent. It's Audra McDonald! Here's an awkward stage door photo with her after The Gershwins' Porgy and Bess on Broadway last year, when I said a bunch of rambling gushing things about how much I love her. She's won 5 Tonys. One of my favorite lines. "Religious life is no place for the pious." "You mean the pretentiously pious." Carrie's a better actor when she's singing. It's Vampire Bill! I mean, Captain Von Trapp. I wonder how long before I'll stop waiting for his fangs to pop out? Did you catch that, kids? "I wasn't in the Imperial Navy." "Too bad, you could have made a fortune." How cute are those kids? Fun fact: Kurt is played by a young man named Joe West, whose parents Maura West and Scott Defrietas met on the set of the dear departed soap As the World Turns, where she played Carly (and won several Emmys) and he played Andy. Maura is currently appearing on General Hospital as Ava. Rolf's kind of dreamy, isn't he? Until he turns into a Nazi. Don't you hate it when the guy you're crushing on turns into a Nazi? Here's a difference between stage and movie versions - "Lonely Goatherd" instead of "My Favorite Things." Poor Carrie, each one of those kids is a better actor than she is! The hilarious and talented Tony-winner Christian Borle! Perfect casting for Max. I have a feeling I'm going to be rooting for Elsa (Tony-winning actor Laura Benanti) instead of Maria to win Georg's heart. Best moment of The Sound Of Music so far - Audra McDonald singing "Climb Every Moment." Chills!! Response from Jennifer Eckes (who knows a thing or two about musical theater trivia, as seen in Pop-Up Musical): "I think the general consensus is that "Something Good" is the better song, much like "You're the one that I Want" always gets used in productions of GREASE since the movie. Plus it is easier for the singers to sing." I lived in Salzburg for four months when studying abroad, so one of my favorite parts of watching the movie is pointing out the geographical inconsistencies (e.g., if you climb the mountains outside Salzburg, you end up in Germany, not Switzerland). I went back to Salzburg a few years ago and took the Sound of Music tour and saw lots of filming locations. The church where the wedding was filmed is not in Salzburg, but a little town outside of Salzburg. Mondsee I think? 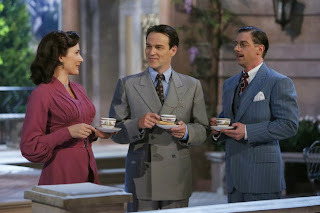 The sets and costumes are quite lovely. The outdoor scenery looks pretty fake, but it's impossible to recreate the beauty of Salzburg in a studio! 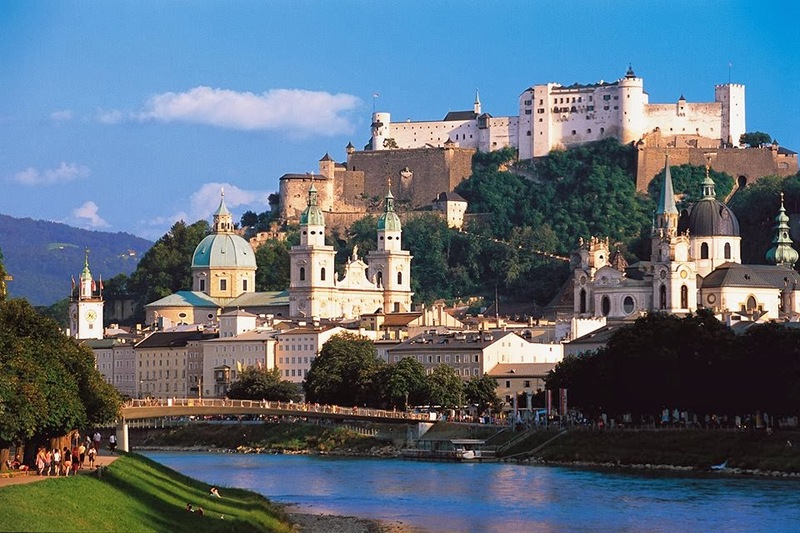 The city of Salzburg. Wunderschön! 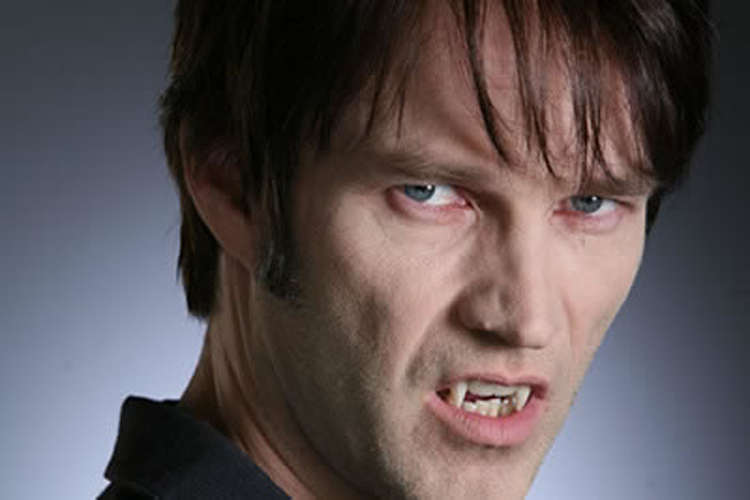 In musical theater, I think it's better to cast a good actor who's not a great singer (Stephen Moyer) than a good singer who's not a great actor (Carrie Underwood). I can forgive vocal imperfections if the emotions of the character are there, but if the character's not there, it doesn't matter how beautiful the singing may be. Why is Rolf still wearing shorts when they're all bundled up in coats, hats, and scarves? Well that's it folks, the three-hour event that was The Sound Of Music LIVE is over, and we made it through! Thanks for playing everyone, this was fun! I'll have more thoughts tomorrow, but in general I think it was a success, with the exception of the horrible miscasting of poor Carrie Underwood. And it made me realize that a big part of live theater is the audience. Without someone to laugh, applaud, or otherwise react, it falls a little flat. The highlights were Audra McDonald who sounded incredible, and Christian Borle who was just delightful as Max. The kids were all great too, and logistically everything seemed to go off without a hitch. A fascinating experiment in live televised theater. I hope they learn from it (lessen one: cast theater actors) and do it again! I finished watching it yesterday. I do plan to watch it again to catch parts that I missed the first time. I agree with you about Carrie Underwood. I wonder if it was the "live" part that threw her. She was in the movie "Soul Surfer" and did just fine. I remember Max from the TV show Smash last season. He did well in that show also. Once he got a chance to sing - Wow! 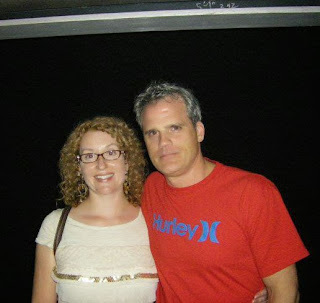 I did not know the Baroness or Michael Park before this show. I did catch the part where he stepped on her dress. She covered it well with a quick turn to release it and a giggle. Did you know your second cousin, Tyler, worked on the sets (he columns and the stained glass windows)? Even though I enjoyed it, I couldn't help comparing it to the movie and preferring the latter.